Cannabidiol is a popular natural remedy used for many common ailments. Better known as CBD, it is one of the 104 chemical compounds known as cannabinoids found in the cannabis or marijuana plant, Cannabis sativa. Tetrahydrocannabinol (THC) is the main psychoactive cannabinoid found in cannabis, and causes the sensation of getting “high” that’s often associated with marijuana. However, unlike THC, CBD is not psychoactive. This quality makes CBD an appealing option for those who are looking for relief from pain and other symptoms without the mind-altering effects of marijuana or certain pharmaceutical drugs. 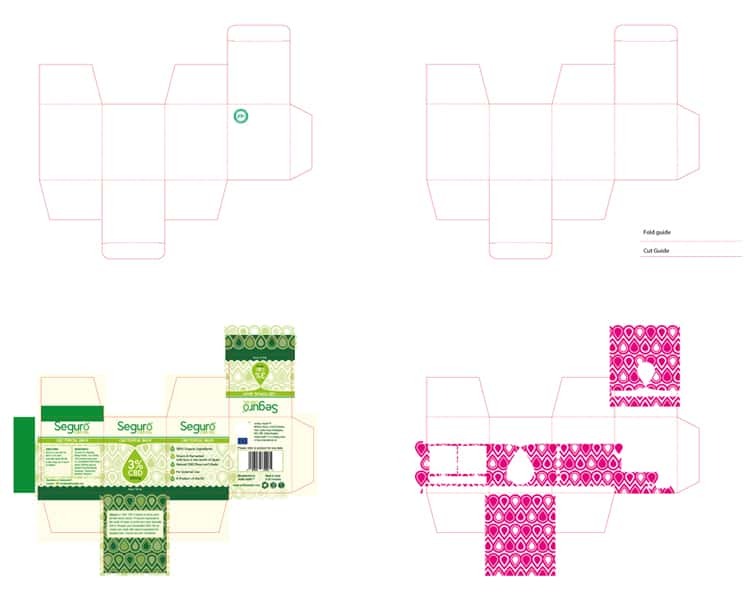 With all of this in mind, you can probably imagine how excited we were to be asked to design a new brand and packaging for a new CBD Oil product range that is about to be launched in the UK. Our clients Antilla Health decided to get involved with CBD products earlier this year and have made great strides to importing the highest grade of organically farmed CBD Oil to the UK from Spain. We were brought in initially to look at packaging for a product simply named “CBD Oil”, but after discussions with Antilla directors Tony and Katie we decided to name the product for the retail environment. After working through what they wanted the brand to stand for, we settled on a theme of safety. This CBD Oil product is new, it stems from cannabis and it is relatively untested compared to traditional medicines but it is actually a very safe product to use and carries all of the benefits above. 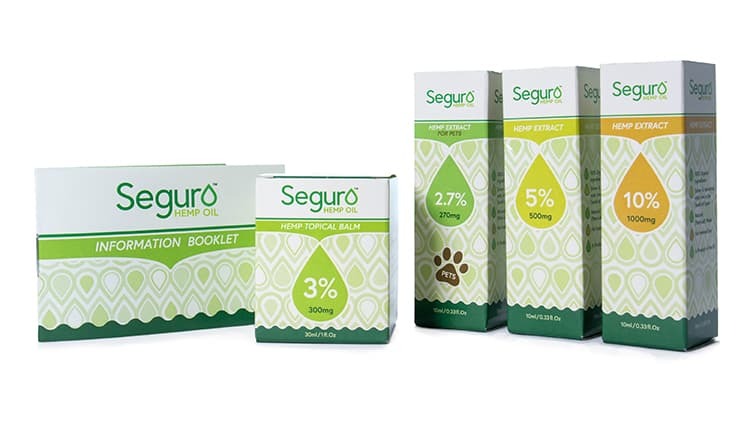 As it is farmed in Spain we named the brand Seguro, which is the Spanish word for safe.